Ho, Ho, Ho! Santa's coming so we better be ready! I'm guessing you didn't finish buying your presents yet, don't worry, me either. (To tell you the truth I didn't even start!) What i DID start doing was figuring out how to WRAP because it's so FUN and PRETTY! 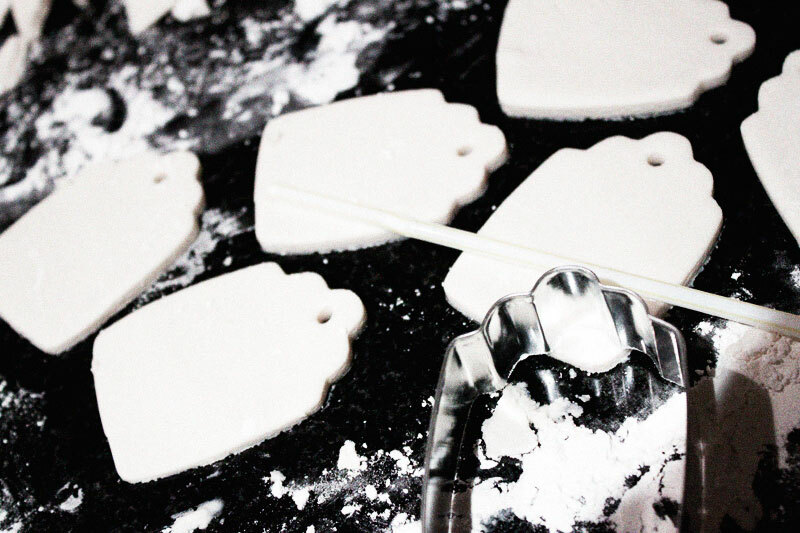 I've wanted to make salt clay stuff for a while now, so why not start with ornaments & GIFT TAGS! Cover 'em in a bit-o-chalk-paint and you have a perfect little darling! What you need: Flour, Salt, Water, a rolling pin (I used to use soup cans before I invested so get creative if you don't have one!) ribbon and cookie cutters. YUP, that's it! 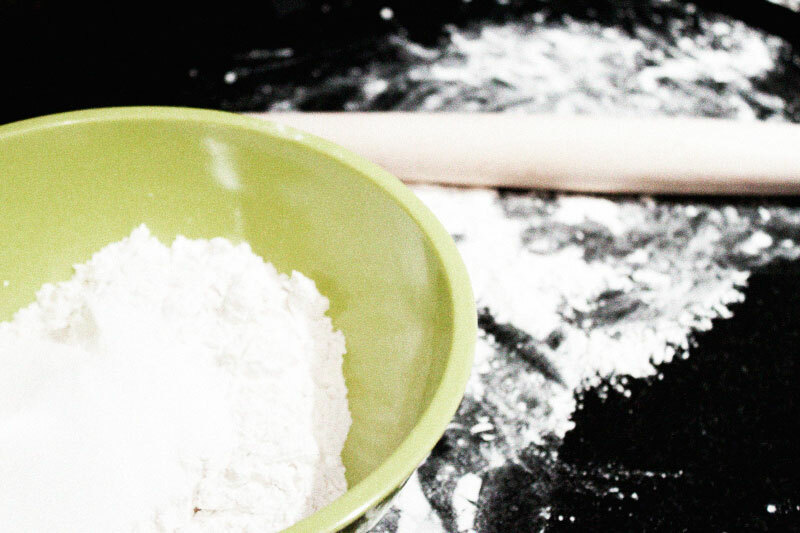 Here's the ratio 1 cup flour, ½ cup salt, ½ cup warm water. I doubled to get the amount I wanted and it worked just fine, so make as much as you want, just keep the ratio right. 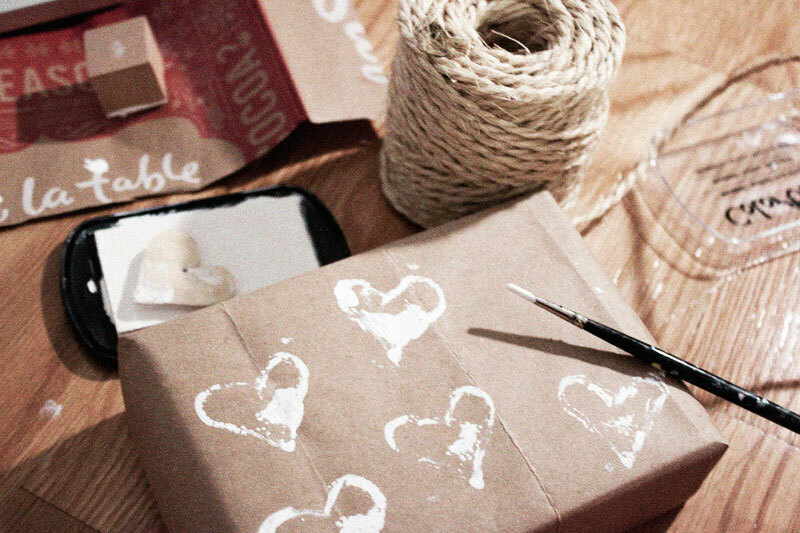 To wrap like the image above in addition you'll need a paper bag, a tiny brush, an ink pad and some twine. 1 / Mix together the flour, salt and warm water. 2 / Work it all together with your hands until the dough forms. 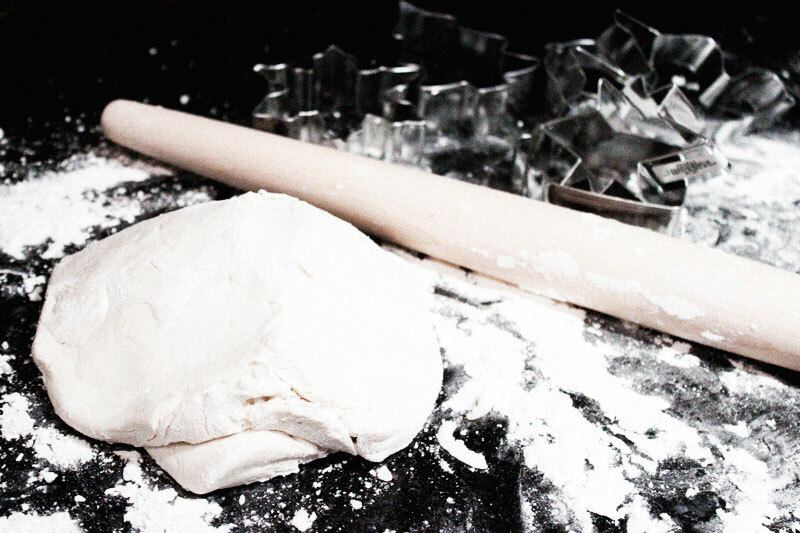 3 / Divide the dough into rollable parts (I cut mine in ½) and roll it out on a well floured surface. 5 / Using a straw punch a hole towards the top of the cut out so that you can insert a ribbon to hang! I punched all sort of holiday shapes. For this particular post I am showing you the tags, but I will be painting these babies for the tree! 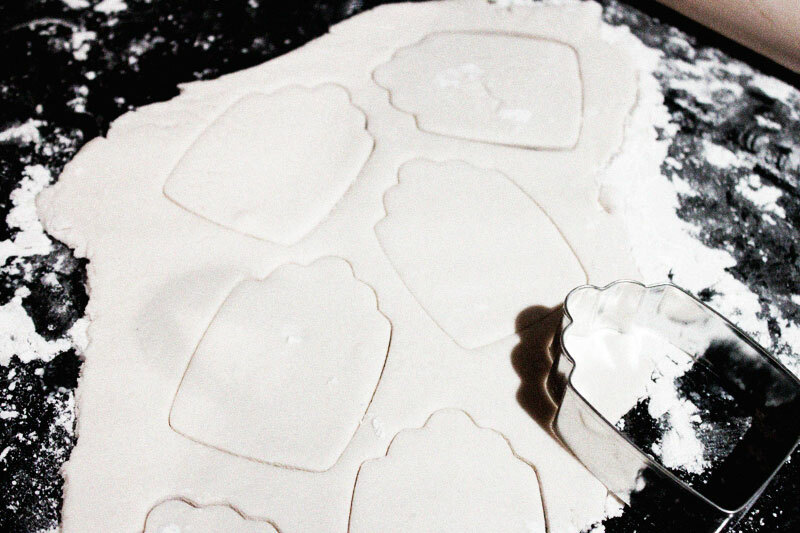 6 / Bake the cut out dough at 325˚F for 1 hour. Let cool completely before decorating! 7 / Break out the chalk board paint and give them a nice even coat. Let dry about 30 minutes then give another coat. 8 / Wrap your package in a paper shopping bag as if it was wrapping paper. 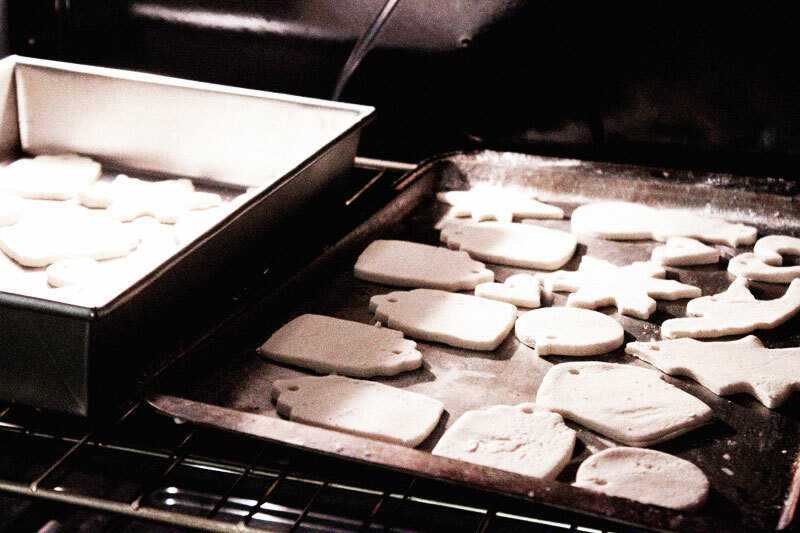 Take one of the clay ornaments you made and use it as a stamp to make an adorable pattern. Touch up the places your ornament didn't stamp with a brush and the ink from the stamp. Let the stamped paper dry for a while before you get wrapping. 9 / Loop ribbon through the hole you punched in the ornament. 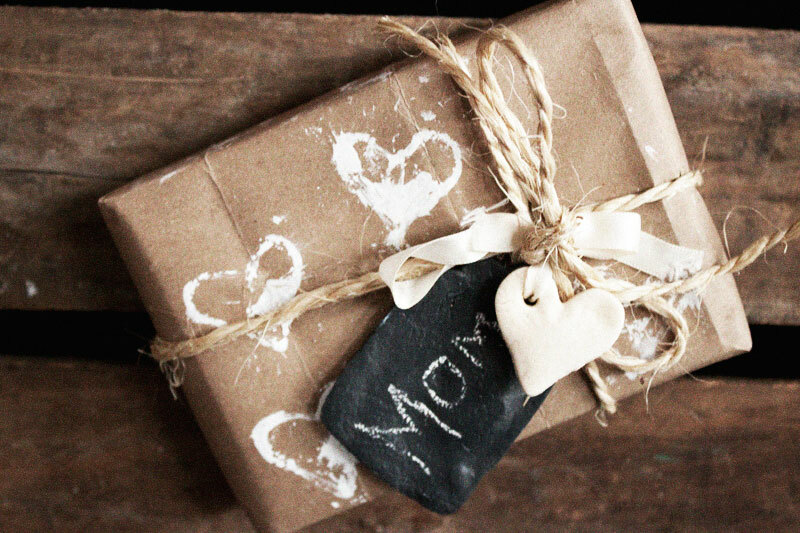 Tie the twine around the wrapped box and loop the ribbon attached to the gift tag into the bow just like a regular gift tag! Write the name of the recipient and you are all set! TA-DA! Beau-ti-ful! Oh whats that on the left, a snow globe? Why, yes, yes it is. What DIY do I have for you tomorrow you ask? Why yes, yes I am going to show you how to make those too! Happy Holidays! Did you start wrapping yet?